For New Patient Initial Visit form, please CLICK HERE. 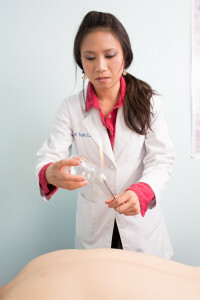 During the Initial Acupuncture Consultation and Treatment, a full health history will be taken. Your licensed acupuncturist will ask you a series of health and lifestyle questions and perform diagnostic tests that will help lead to a diagnosis. Your acupuncturist will explain the nature of your condition and discuss a treatment plan with you at your following visit. Acupuncture needles will then be inserted into specific areas of the body and left in place for 30 minutes. While the needles are in, it is best to lay still to avoid any unnecessary pain from shifting needles. 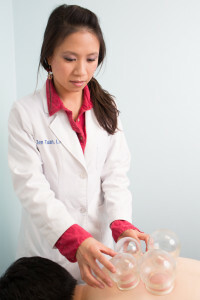 If necessary, herbs, cupping, or other modalities may be used to augment the healing process. Initial visits will last between 60-90 minutes and future visits last between 45-60 minutes. For more information, visit our Frequently Asked Questions page. To read about other services we provide, visit healingwithzen.com/services. Healing with Zen is “in-network” with Blue Shield of California. We accept all other PPO insurance that has out-of-network coverage and will gladly check your insurance coverage for acupuncture care. If you have coverage, we will bill your insurance for you. Please bring your insurance card and photo ID to your first appointment so that we can determine your benefits. Healing with Zen is a fee-for service office, meaning all of our patients pay with cash or credit card at the time of service. The initial visit will be subject to full payment upfront. Once we have determined your coverage, we will reimburse you if your sessions are covered. We offer a variety of payment options including discount prepaid packages for those who are underinsured, all of which we will discuss at your first appointment. We also accept Health Savings Accounts (HSAs) which, in many cases, can be used for covering the cost of acupuncture treatments.